LPG (propane) and Natural Gas (methane) are both used in essentially the same way but they are also different in many ways. In Australia, we rely on both LPG or natural gas for our energy needs. LPG and Natural Gas are widely available and used for thousands of applications in homes and business. How Does LPG and Natural Gas Differ? What are the Key Differences? LPG and Natural Gas are also known as Propane and Methane, their chemical names. Propane (C3H8) is the same as LPG. Methane (CH4) is the same as refined natural gas. Butane and isobutane (both C4H10) are also considered to be LPG gases. • LPG (propane) and natural gas (methane) have different chemical formulas: Methane is CH4. Propane is C3H8. • LPG has a higher calorific value - energy content - than natural gas, with 93.2MJ/m3 vs 38.7MJ/m3. • For proper combustion, LPG requires an air to gas ratio of approximately 25:1 whilst natural gas requires a 10:1 ratio. • LPG (propane) is more dense than air, at a relative density of 1.5219:1 vs natural gas (methane) at 0.5537:1, which is lighter than air. • LPG can be compressed into a liquid and stored or transported in a cylinder or larger vessel. • Natural gas and LPG appliances operate at different pressures. • LPG can be easily processed into Simulated Natural Gas – SNG – and used as a substitute for natural gas. The same is not true in reverse. The difference between LPG and natural gas is easiest to see in their physical properties. LPG has a higher energy content than natural gas (93.2MJ/m3 vs 38.7MJ/m3) and LPG is more dense than natural gas, at a specific gravity of 1.5219:1 vs 0.5537:1, amongst other differences shown below. Note: Some numbers have been rounded. What is the Difference Between LPG, CNG and Natural Gas? As previously discussed, natural gas is methane whilst LPG is propane, butane, isobutane or a mixture of the three. CNG is Compressed Natural Gas. The only difference between piped natural gas and CNG is the mode of delivery. Whilst both LPG and CNG come in cylinders, they are different gases and CNG is stored at a much higher pressure. Storage pressure of LPG is less than 2 MPa whilst CNG is 20 – 25 MPa. LPG also has a higher energy content than CNG, with 25MJ/L versus 9MJ/L, respectively. PNG is the acronym for "piped natural gas". So the difference between PNG and LPG is the same as the difference between natural gas and LPG. PNG or natural gas is methane whilst LPG is propane, butane, isobutane or a mixture of the three. All of the other differences are the same as stated above. Can I Have 1 Piped Gas and 1 LPG Gas Connection? Sure, there is no reason why you coldn't have two different types of gas connection. However, they are not interchangeable. The appliances that run on the piped gas connection cannot be used on the LPG gas connection and vice versa. The chemical formula for propane is C3H8. The chemical formula for LPG can be the same, when it contains only propane. However, it can also contain butane and isobutane. The chemical formula for both butane and isobutane are the same - C4H10. The chemical formula for natural gas is CH4. To be accurate, this is the chemical formula for methane, which is the primary constituent of refined natural gas. Raw natural gas, straight out of the ground, also contains natural gas liquids and various impurities. What is the Difference Between Methane and Natural Gas? Processed natural gas, as delivered via gas mains, is typically almost pure methane. So, there is really no difference between methane and refined natural gas. Unprocessed natural gas straight from the gas well contains NGLs and impurities, in addition to methane. The relative positions of LPG vs natural gas price has changed over time. Due to exports, natural gas price is now driven upward by the world price for LNG - Liquefied Natural Gas. In addition, natural gas suppliers charge for something called a 'Daily Supply Charge' or by a similar name. This is, in reality, a network access charge for being hooked up to the natural gas pipelines. The problem is that the price of the Daily Supply Charge has been escalating and is now over $1 per day in many areas. This amounts to over $400 per year, before you even get the first molecule of gas, with a number of natural gas tariffs. Because of the above, LPG is now cheaper than natural gas in many cases. It also depends on where you are located and how much gas you use. Your location matters because of the different ways that the two gases are priced. LPG is typically cheaper for low volume users, as the Daily Supply Charge can total to more than $400 per year. The situation may be different for higher volume users and with varying tariffs. The end result makes LPG cheaper than natural gas in many circumstances and especially for residential users with low to moderate rates of consumption*. *The above describes the situation in Australia. The gas market in different countries may vary. The calorific value of natural gas (methane) is 38.7MJ/m3. The calorific value of LPG gas (propane) is 93.2MJ/m3. So, LPG has a higher energy content than natural gas. With this higher calorific value, less LPG is required to produce the same amount of heat. Which has More Heating Value Methane or Propane? Assuming that "heating value" and "calorific value" are synonymous, this is just another way of asking the previous question. LPG has a higher heating value - energy content - than natural gas, with 93.2MJ/m3 vs 38.7MJ/m3. Which Burns Hotter Liquid Propane (LPG) or Natural Gas? LPG burns slightly hotter than natural gas. LPG - propane - burns ar 1967ºC or 3573ºF. Natural gas burns at 1950ºC or 3542ºF. Is Conventional Natural Gas Better for Cooking than LPG? It would be difficult, if not impossible, to tell the difference between cooking with natural gas and LPG. The flame temperatures are almost identical, they both respond instantly to temperature control changes and they both look the same. The user would be unaware of the differences in the gas to air ratio and gas supply pressure. Whilst the energy content on natural gas is lower, it is typically less expensive so it tends to cancel out. It really comes down to the prices and tariffs of the two to determine which has a lower effective cost, after daily supply charges (network access fee), other charges and the actual cost of the gas. Is Methane More Flammable than Propane? The autoignition temperature is the lowest temperature at which a substance spontaneously ignites in air, with no other ignition source. So, based on their respective autoignition temperatures, propane is more flammable than methane because it spontaneously ignites at a lower temperature. Is Methane Flammable Without Oxygen? Methane will not burn without oxygen. The second difference is in the oxygen to gas ratio required for proper combustion. LPG requires an oxygen to gas ratio of approximately 25 to 1. Natural gas requires a ratio of around 10 to 1. To achieve this difference, LPG is typically provided in a smaller quantity but at a higher pressure, drawing more oxygen with it into the combustion process. LPG is more dense (has a higher specific gravity) than natural gas. Natural gas (methane) is less dense than air, at a relative density of 0.5537 to 1. LPG (propane) is more dense than air, at a relative density of 1.5219 to 1. So, LPG settles whilst natural gas rises. The term LPG actually encompasses more than one type of gas. There are a number of hydrocarbon gases that fall into the category of LPG. Their common characteristic is that they can be compressed into liquid at relatively low pressures. The two most common are Propane and Butane. What are Natural Gas Liquids – NGLs? Natural Gas Liquids – NGLs – are heavier gaseous hydrocarbons that are included in the raw natural gas stream from the wellhead. NGLs include propane, butane, isobutane, ethane, ethene, propene, isobutene, butadiene, pentane, and pentene and pentanes plus. Pentanes Plus is a mixture of liquid hydrocarbons, mostly pentanes and heavier. Natural gasoline is the largest component of pentanes plus. Raw natural gas also contains impurities including water vapour, hydrogen sulphide (H2S), carbon dioxide, helium, nitrogen, and other compounds that must be removed. Propane, butane and isobutane are the three gases that are typically sold as LPG – Liquefied Petroleum Gas. Propane is the gas that is supplied to virtually all homes and most businesses that purchase LPG in Australia. LPG is supplied in 45kg gas bottles that are either exchanged or refilled on site by LPG tankers. LPG goes by a number of names in Australia including LPG, LPG gas, bottled gas, Propane, BBQ gas, camping gas and LP gas. It’s all the same gas. Butane is supplied to certain businesses that specify Butane, as opposed to Propane. Butane has some specific applications where it has advantages over Propane. These include greenhouse applications and use as a propellant in aerosols. The chemical formula for Butane is C4H10. LPG can vary from 100% propane to 100% butane. The determining factor is primarily the availability of each where you are located. Different countries and regions have varying access to the supply of each gas. Autogas that is sold at petrol stations can be either just Propane or a Propane/Butane mix. Not only is running an LPG car economical, but Autogas is also cleaner burning fuel than petrol, so engine life is actually extended and greenhouse gas emissions reduced. Natural gas is primarily Methane. When it is extracted from the ground it may also contain Ethane, Propane, Butane, and Pentane. The natural gas liquids - NGLs - are separated out for individual distribution. Most of these are usually stripped out for other specific applications before it is passed along through the pipelines. Impurities are also removed, including water and sulphur. The chemical formula for Methane is CH4. Natural gas is used primarily as fuel to generate heat. In homes this includes hot water, cooking and heating. In industrial applications, it commonly heats boilers for various processes, as well as dryers, ovens and kilns. When compressed into CNG, it can also be used to fuel vehicles. The generation of electricity is also a major use of natural gas, as it is much cleaner that coal fired generation. Electricity generation can be via direct gas powered turbines, indirectly with steam turbines or a combination of the two, where the waste heat from the gas turbines is recycled to produce steam and drive steam turbines. Natural gas is a fossil fuel. It is formed over millions of years from decayed biomass subject to heat and pressure. So, natural gas is found deep underground in various rock formations. It is accessed by drilling deep wells. The "wet" gas that comes from the well must be processed to separate out the natural gas liquids, like LPG, as well as water and other impurities. Finally, the dry gas is passed through the gas pipelines that deliver it to our homes and businesses. Methane molecules consist of hydrogen and carbon, with a formula of CH4. As noted previously, raw natural gas may include propane, butane, isobutane, ethane, ethene, propene, isobutene, butadiene, pentane, and pentene and pentanes plus. Impurities such as water vapour, hydrogen sulphide (H2S), carbon dioxide, helium and nitrogen are also found in raw natural gas and must be removed. Methane Propane Butane - Is There Methane in Propane or Butane? There is no methane in propane or butane. Methane, butane and propane are three distinctly different gases. Simulated Natural Gas – SNG – is produced by mixing vaporised LPG with compressed air. SNG can be used in place of natural gas, as it has virtually identical combustion characteristics. It can be used alone or mixed with regular natural gas. No changes are required in burners, regulators or gas jets. Simulated natural gas has a number of names. In addition to SNG, it is also called propane-air and LPG-air. Under what Circumstance or Situation will LPG be added to LNG? Normally, you would never add LPG to LNG, as the combustion properties are so different.. The one exception is with SNG - Synthetic Natural Gas, after the LNG returns to its gaseous state. Once the LNG has been regasified, LPG could be added to it - in the form of SNG - to increase the available supply. LPG freezes at −187.7°C (−305.8°F), meaning that there is little margin for error when chilling the methane to −161°C. Natural gas or “mains gas” is the gas supplied to homes and businesses by gas pipelines or “gas mains” (reticulation systems). This is how most Australians receive their gas. CNG gas is distributed in natural gas cylinders. A natural gas cylinder is different from an LPG cylinder. 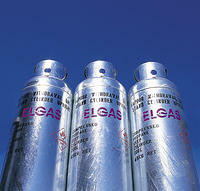 Natural gas cylinders are much higher pressure. Methane gas can be stored at high pressure, typically over 200 bars, but it is not very economical for long distance transport. CNG does have some specific applications where the product is used in close proximity to where it is compressed. City buses are a good example of a successful CNG application. What is the Difference Between CNG & PNG? The only difference between CNG and PNG is the form of delivery. CNG comes out of a bottle whilst PNG comes out of a pipe. Both are refined natural gas with methane being the primary constituent. Methane gas is processed into LNG by cooling it to −161°C, at which point it becomes a liquid. This reduces the volume of the natural gas by a factor of more than 600 times as it goes from its gaseous state to liquid. That's like going from a beach ball to a ping pong ball. This reduced volume facilitates economical transport by sea or road. Common LNG uses include industrial applications and long haul trucking. The technology involved with LNG is generally not cost effective for small volume users, such as homes and small businesses. For more information, please visit the Elgas LNG web site. What is the Difference between LNG and LPG in the Container? As previously explained, natural gas is methane whilst LPG is either propane, butane, isobutane or a mixture of the three. So, whilst LPG is liquefied using relatively low pressures at ambient temperatures, LNG is liquefied cryogenically - chilling it to −161°C - at close to atmospheric pressure. Another major difference is that LPG can typically be used right from the cylinder . LNG requires regasification, to get it to revert to its gaseous state and can then used as typical natural gas. Which is Safer, LPG or LNG? Both LPG and LNG are flammable hydrocarbon fuels. Under the right circumstances either one could burn or explode. LNG is more dangerous for the environment, as methane is a very strong greenhouse gas - even worse than CO2. LPG (propane and/or butane) are not greenhouse gases. LPG is used for heating our homes & hot water, cooking our food, powering our BBQs & fuel our cars. It also powers many business and agricultural processes. LPG is stored under pressure, as a liquid, in a gas bottle. It turns back into gas vapour when you release some of the pressure in the gas bottle by turning on your appliance. Almost all of the uses for LPG involve the use of the gas vapour, not the liquefied gas. The gases that fall under the “LPG” label, including Propane, Butane and Isobutane, as well as mixtures of these gases. Where does LPG come from? LPG is not made or manufactured, it is found naturally in combination with other hydrocarbons. LPG is produced during natural gas processing and petroleum refining. Once refined, LPG is stored as a liquid under pressure in gas bottles or tanks. LPG processing involves the separation and collection of the gas from its petroleum base. About 60% is produced from the natural gas stream that comes out of the wellhead. The other 40% is produced during the crude oil refining process. LPG is isolated from the hydrocarbon mixtures by its separation from natural gas or by the refining of crude oil. Natural gas liquids (NGL) range from 1% to 10% of the natural gas flow. Similarly, LPG produced from crude oil refining constitutes between 1% and 4% of the crude oil processed. Both processes begin by drilling oil wells. Following its refinement, LPG is stored and distributed as a liquid under pressure until used, at which point it is utilised as either a liquid or a gas (vapour). LPG processing involves separation and collection of the gas from its petroleum base. LPG is isolated from the petrochemical mixtures by separation from natural gas or by the refining of crude oil. The gas/oil mixture is piped out of the well and into a gas trap, which separates the stream into crude oil and "wet" gas, which contains LPG and natural gas. The heavier crude oil sinks to the bottom of the trap and is then pumped into an oil storage tank for refining. Crude oil undergoes a variety of refining processes, including catalytic cracking, crude distillation, and others. One of the refined products is LPG. The "wet" gas, off the top of the gas trap, is processed to separate the gasoline (petrol) from the natural gas and LPG. The natural gas, which is mostly methane, is piped to towns and cities for distribution by gas utility companies. The petrol is shipped to service stations. The LPG also enters the distribution network, where it eventually finds its way to end users, including Home LPG and Commercial LPG users all around Australia and the world.